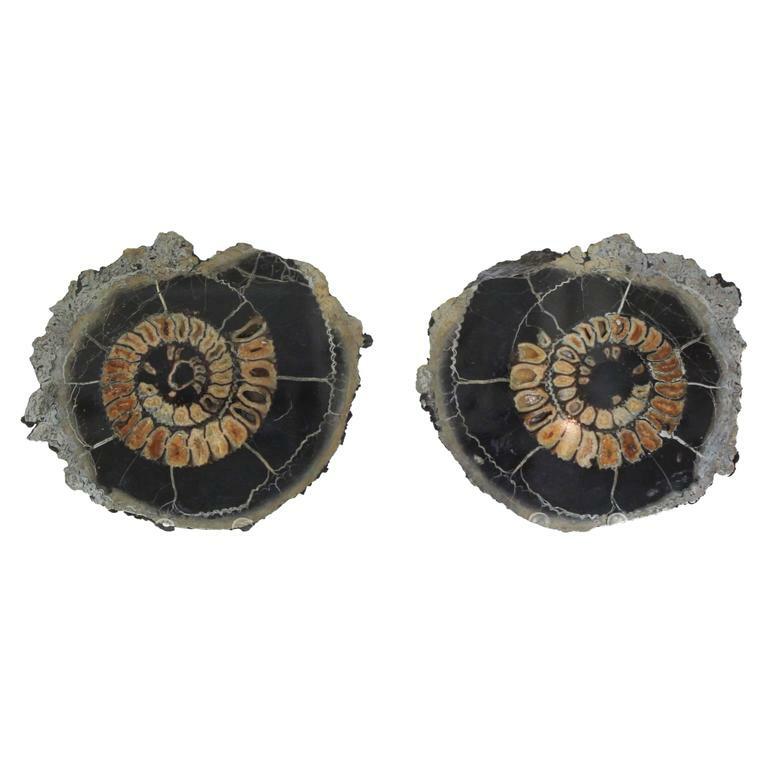 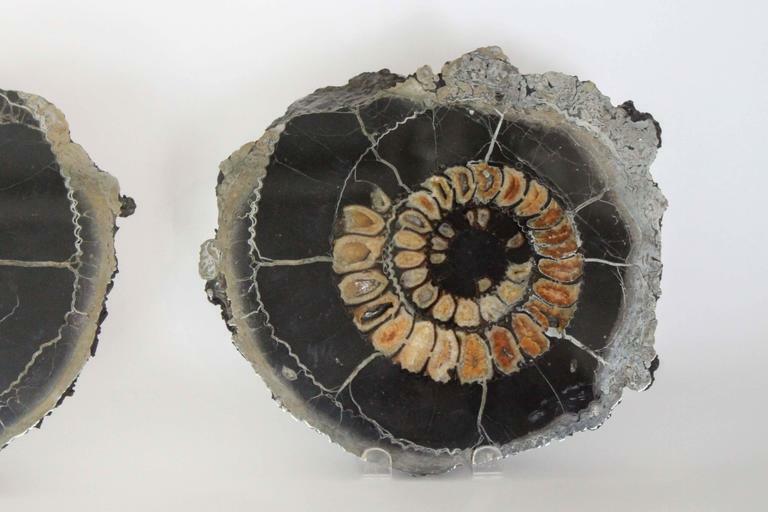 A pair of matched ammonite discs which could be used for decoration or as a pair of tables. 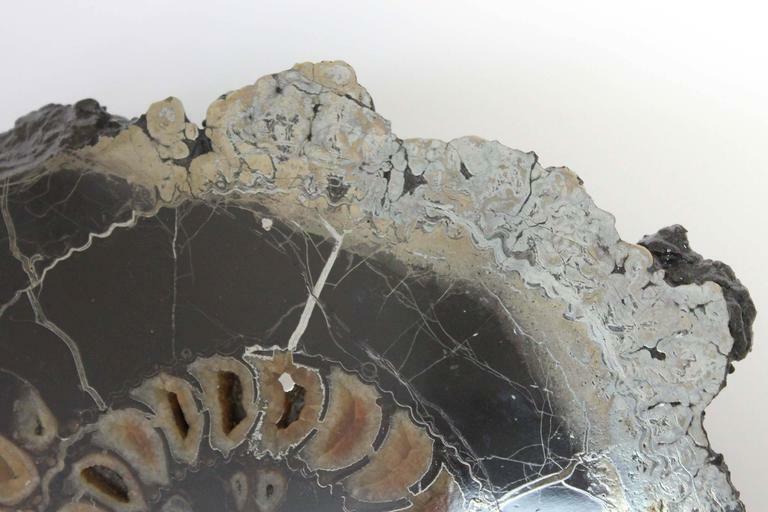 Hand-polished to enhance their stunning natural beauty. 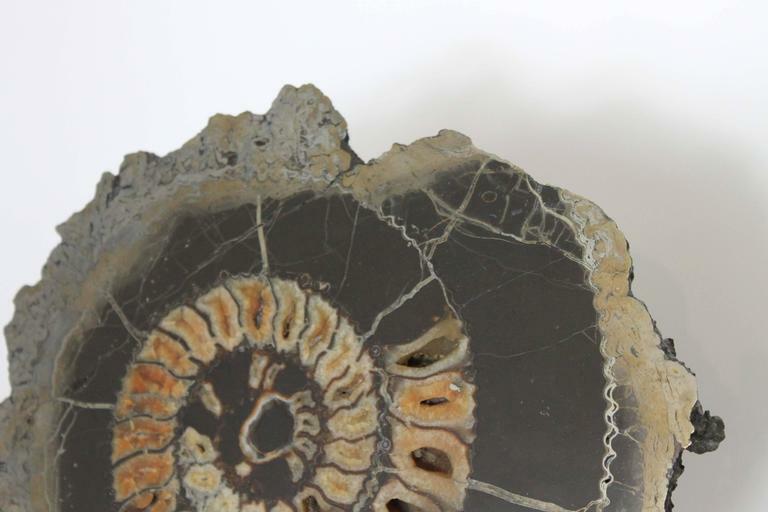 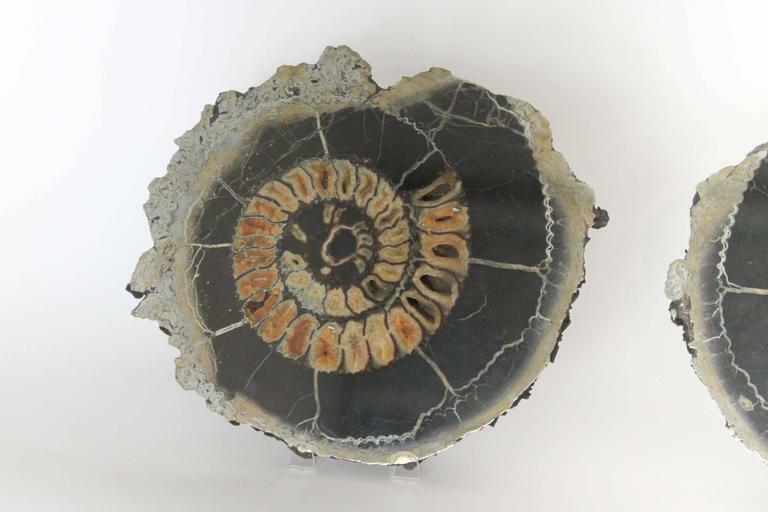 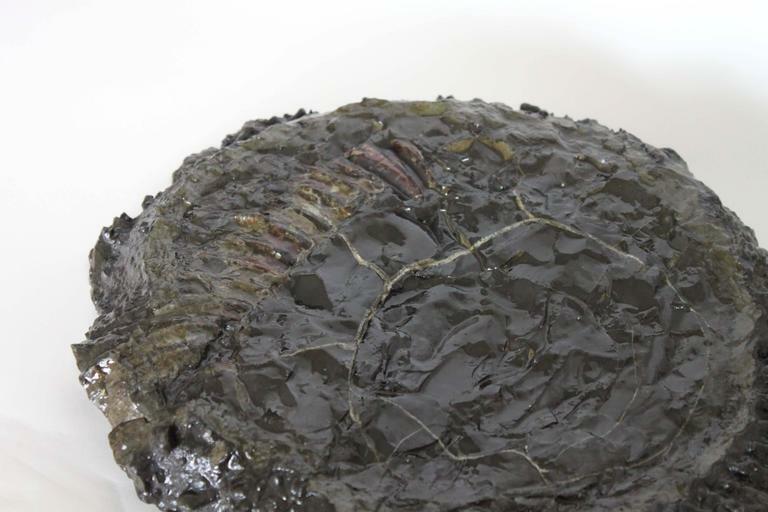 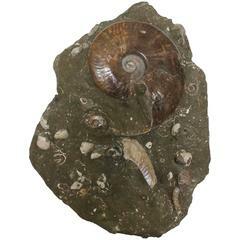 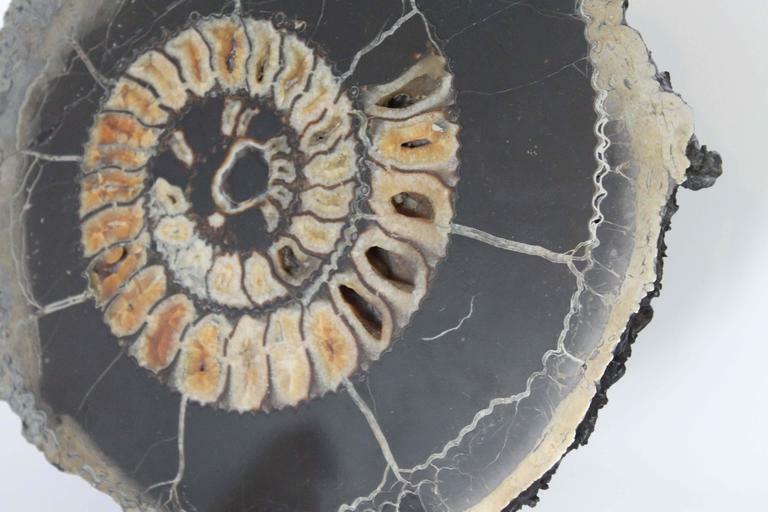 A beautiful fossil matrix exhibiting an exceptionally large piece of hand-polished ammonite. 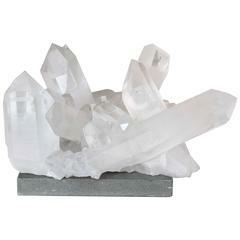 A large quartz crystal family from Brazil. 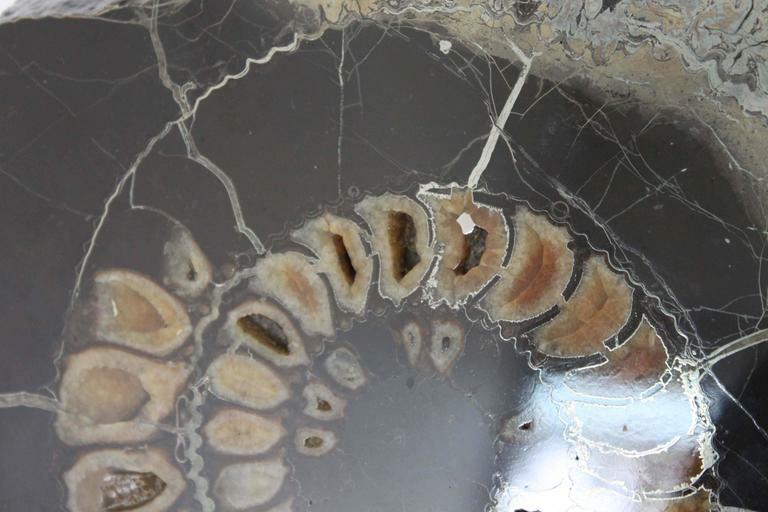 Several perfectly formed crystals are rare to find in an intact grouping such as this one. 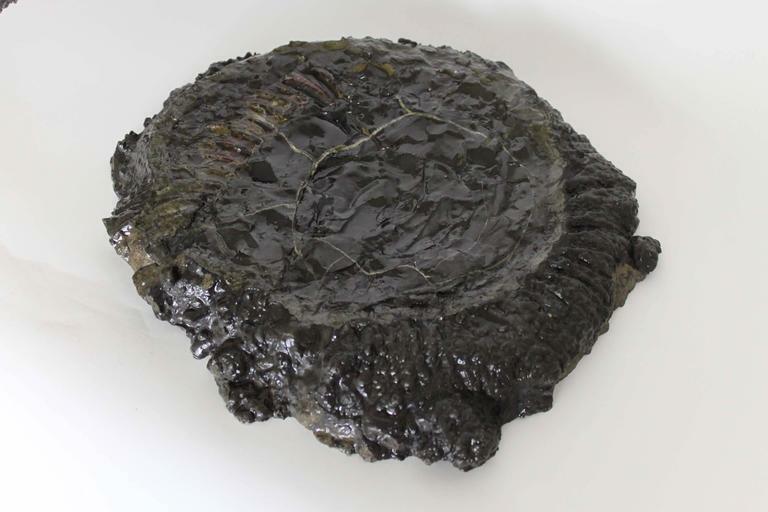 Includes concrete plinth. 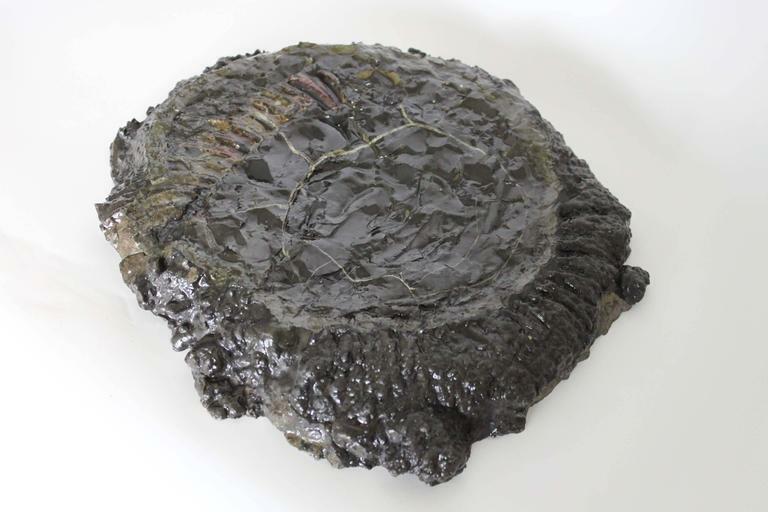 Disc table designed by Hannes Wettstein Original price: $1,600.00 Frame: Wenge stain Top: Black glass insert. 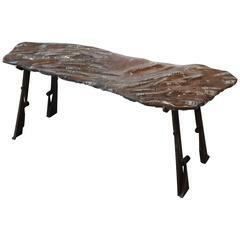 A pair of Italian mahogany greyhound side tables with newer base and top, circa 1840. 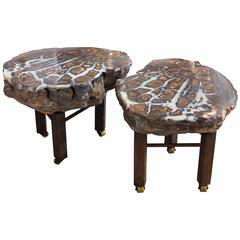 Two wonderful square side or end tables having black metal bases with gorgeous hand blown glass disc tops of turquoise and gold covered with clear glass surfaces.